Hundreds of car owners and drivers congest the Tagbilaran City Land Transportation Office as early as 12 midnight on Wednesday. Public outcry against the Land Transportation Office was heard last Wednesday as hundreds of the agency’s clients congested the Tagbilaran City LTO office as early as 12 midnight, wanting to make sure they get the number to be accommodated by daybreak. 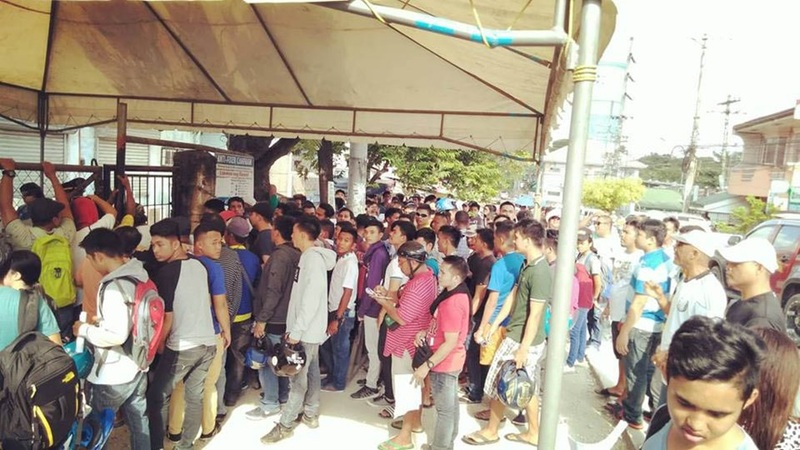 Majority of those who came at dawn Wednesday were town residents who can no longer avail of the LTO services in Jagna town due to the halt of services at the town’s LTO office. This worsening situation at the Tagbilaran City LTO office have been going on during the past weeks. However, it caught public attention after dyRD’s top-rated public affairs program “Inyong Alagad” sent reporters to interview the complaining drivers and vehicle owners who aired their sentiments against the government agency “lousy” service. “The system is just too way distant from adopting a crisis management system wherein the delivery of services can be achieved in a more systematic way,” said one of the LTO clients when interviewed over dyRD at the premises of agency’s Tagbilaran office. The reported mess at the city LTO reached the offices of Department of Transportation Secretary Art Tugade who wanted to hear both sides from the complaining public and the LTO officials in the city and region. In order to address the public outcry for better management, LTO-7 Regional Director Victor Emmanuel Caindec was conducted by dyRD at his regional offices in Cebu City. The LTO regional director said the changes he started to implement at the city LTO will be assessed this week in order to correct those needing to be changed. What was quite evident on the complaints was the lack of system in guiding the clients on the steps to be done in order to be accommodated faster. The LTO regional director said prior his implementation of new policies he visited the local LTO incognito just to observe how the public is being attended to by the personnel. Director Caindec said they started with the palliative measures such as the numbering system where part of it is requiring clients to show IDs to get rid of fixers. On the other hand, he said there is a pending bill in Congress, proposing for a separate department for Land Transportation which will allow the appointment of a department secretary so that problems will be given focused attention. Right now, LTO is under the Department of Transportation that is attending to a vast coverage of concerns, he noted. Another idea that Caindec has thought of is to establish an office in every district to avoid the accumulation of clients all at the LTO-Tagbilaran. Caindec said the biggest problem at LTO- Tagbilaran is the capacity. He explained that the LTO-Tagbilaran office can only handle 80-100 transactions a day, based on its physical setup and reality is there are around 300 transactions expected in a day. The new numbering system addresses this situation where Caindec cited as example that when a client’s number is 80, the assistance desk personnel would advise him that he could no longer be accommodated in the morning and may better return in the afternoon. LTO-Tagbilaran has also provided a tent to shelter the clients from rain and the sun. Caindec also said the regional office already issued an order last month, advising that LTO offices open at 8 a.m. and releases numbers for the sequence of clients to be accommodated 10 minutes before the offices open. On this, he advised the public not to queue by 12 midnight or the night before the day they intend to transact with LTO offices in the region. This is in response to a concern that many clients of LTO-Tagbilaran would queue at 6 p.m. the day before or at 12 midnight to ensure they would be first in line. Caindec explained that they decided to release the numbers 10 minutes before the office opens to avoid giving opportunity to some people to negotiate their numbers. As example, he cited that there might be some individuals who would queue and get numbers and sell those numbers to others who would come late and desperate to be next in line. With the numbering system, Caindec explained that since the LTO-Tagbilaran office opens at 8 a.m. and the numbers are distributed to clients 10 minutes before the office opens, there is no need for the people to go to the LTO-Tagbilaran office by midnight or the night before. He also explained that LTO-Tagbilaran no longer transact with any representative of the person who owns the driver’s license being applied for. He said this is to avoid the intervention of fixers. He said the LTO-7 regional office is monitoring the situations in Bohol since four weeks ago when the concerns went viral on social media. Also, prior to such time, he said they already received reports about the concerns through concerned citizens, especially through 8888 Presidential Action Center. Responding to the concerns, the LTO-7 has started addressing them and as of the present, there have been some interventions undertaken. As to the other problems that need long-term solutions, the LTO-7 is gradually taking steps. First, on the reshuffling of personnel, Caindec explained that there was a time when they could not just implement it in the light of the election ban. However, immediately after the election ban had been lifted and with the assistance of the assistant secretary, LTO-7 was given an authority for reshuffling. LTO-7, then, was able to assign a new chief about three weeks ago. The issues that needed immediate action were also attended to already. 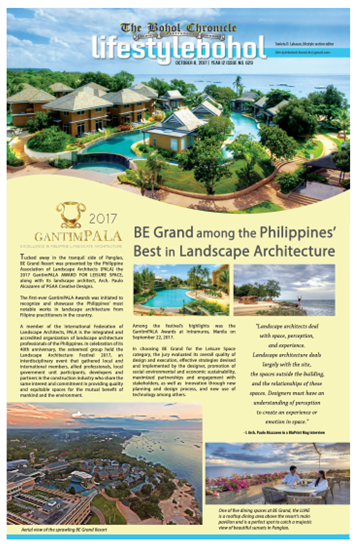 In his assessment, he found that the problem in Bohol, in general, is big and it is not only at the Tagbilaran office. He said the Tagbilaran office is too small for the services it cater, considering that the number of clients to attend to continue to increase. He noted that the LTO-Tagbilaran office was constructed decades ago and naturally, needs expansion by now. When he visited LTO-Tagbilaran incognito, Caindec said he noticed that aside from the lack of a system that works, many people came to the office without ID and do some transactions. This has been eliminated by requiring every client to present an ID and do their transactions personally without relying on representatives. Second, the LTO-Tagbilaran office has poor ventilation. Caindec said he had to trace the problem, considering that the office had just been renovated. To address this problem, Caindec said they ordered two 3-tonner air-conditioning units and it was supposedly delivered by the supplier on Monday last week, but they still have to follow it up why it was not delivered. Third, the most important that is being introduced at the LTO-Tagbilaran office now is the “No ID, No entry” policy which he said had disappointed some fixers. Caindec said he sent personnel from Cebu to implement this where numbers are distributed to clients and the section they intend to transact with is being noted. On the concern that the security guards might sell the numbers, Caindec said they already changed their security agency two weeks ago. Caindec said that the problem with the old agency was that it could no longer control its guards despite the rotation. It just came in time that there was a bidding and the old agency lost, giving LTO-7 an opportunity to introduce changes, he said.